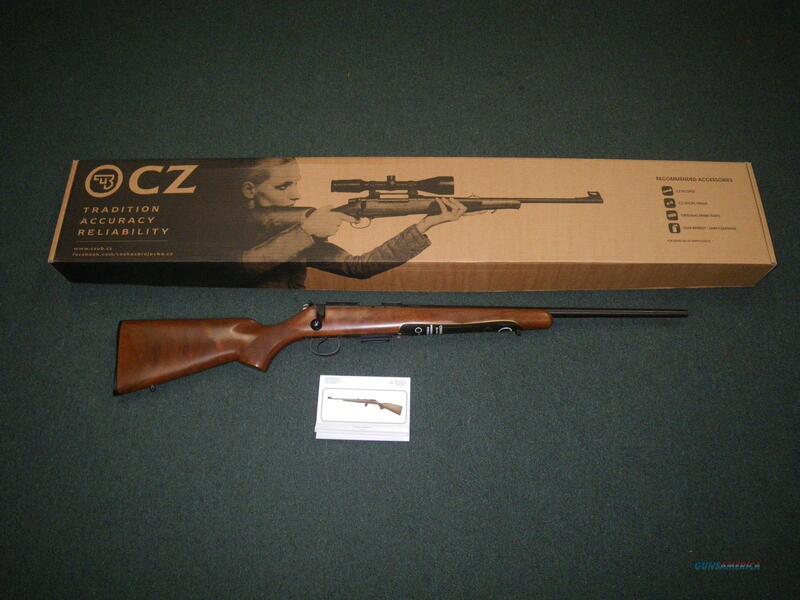 Description: You are bidding on a new CZ 455 American in 22 magnum with a 20.5" barrel. The CZ 455 is the latest generation of the CZ bolt action rimfire. The 455 model will eventually consolidate all of the receivers currently used in the 452 line into one common platform. This combined with the new interchangeable barrel system of the CZ 455 will allow the user to easily change the stock configuration as well as the caliber of the rifle. The 455 retains the accuracy and quality of the adjustable trigger, hammer forged barrel and billet machined receiver from the CZ 452. Improvements that the 455 brings include new manufacturing technology and tighter tolerances for improved accuracy and smoother operation. Displayed images are stock photos. Any questions please feel free to ask (our phone number is in the additional information tab above).